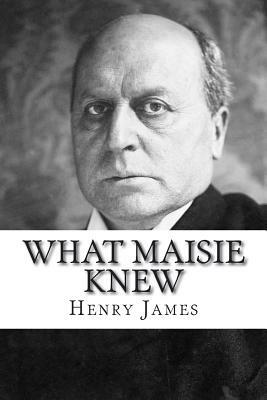 What Maisie Knew by Henry James What Maisie Knew represents one of James's finest reflections on the rites of passage from wonder to knowledge, and the question of their finality. The child of violently divorced parents, Maisie Farange opens her eyes on a distinctly modern world. Mothers and fathers keep changing their partners and names, while she herself becomes the pretext for all sorts of adult sexual intrigue. In this classic tale of the death of childhood, there is a savage comedy that owes much to Dickens. But for his portrayal of the child's capacity for intelligent wonder', James summons all the subtlety he devotes elsewhere to his most celebrated adult protagonists. Neglected and exploited by everyone around her, Maisie inspires James to dwell with extraordinary acuteness on the things that may pass between adult and child. We are delighted to publish this classic book as part of our extensive Classic Library collection. Many of the books in our collection have been out of print for decades, and therefore have not been accessible to the general public. The aim of our publishing program is to facilitate rapid access to this vast reservoir of literature, and our view is that this is a significant literary work, which deserves to be brought back into print after many decades. The contents of the vast majority of titles in the Classic Library have been scanned from the original works. To ensure a high quality product, each title has been meticulously hand curated by our staff. Our philosophy has been guided by a desire to provide the reader with a book that is as close as possible to ownership of the original work. We hope that you will enjoy this wonderful classic work, and that for you it becomes an enriching experience.